36th Annual MRI of the Head & Spine 2019: National Symposium is organized by Educational Symposia (ESI) and will be held from Apr 23 - 25, 2019 at Wynn Las Vegas, Las Vegas, Nevada, United States of America. 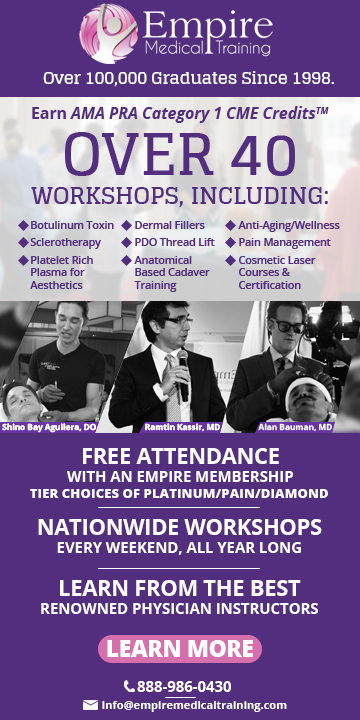 If you can not attend the Live Meeting please join us for the Live Webcast: https://www.edusymp.com/product/details/1155 Register Now & Save ** There will be a $100 surcharge for anyone registering after April 12, 2019 ** The target audience for this medical event is physicians who supervise and interpret neurological MRI studies. This CME activity should also be useful for referring physicians who order these studies so that they might gain a greater appreciation of the strengths and limitations of clinically relevant neuroradiology. MR Technologists should also find this program beneficial. Meeting Accreditation: Physicians: Educational Symposia is accredited by the Accreditation Council for Continuing Medical Education (ACCME) to provide continuing medical education for physicians. Educational Symposia designates this live activity for a maximum of 12.25 AMA PRA Category 1 Credit(s)TM. Physicians should claim only the credit commensurate with the extent of their participation in the activity. Technologists:This program has been submitted to the ASRT. The number of A CE credits will be available approximately 30 days prior to the meeting. Please visit www.edusymp.com or call 1-800-338-5901 regarding the availability of Category A CE credit. Self-Assessment Modules (SAMs): Educational Symposia has been granted Deemed Status by the American Board of Radiology (ABR). This allows Educational Symposia to develop and implement SAMs that satisfy ABR Part II MOC requirements. Course Description : This symposium provides a practical, comprehensive review of the important aspects of clinical MRI/MRA of the head & spine. Physicians and technologists practicing neuroradiography utilizing MRI should expand their knowledge base and obtain additional information on safe and efficient scanning protocols. New this year is a focused session on Artificial Intelligence and Cultural Change in Diagnostic Imaging. This special session is designed to help you improve your practice and the overall patient experience. Educational Objectives: • Optimize imaging protocols and techniques to effectively assess CNS pathology. • Effectively assess cerebral hemorrhage, the temporal bone, neurodegenerative disorders and CNS infections. • Discuss the expanded role of MRI/MRA of the brain and spine. • Review and recognize the diverse pathology that affects the spine, including congenital, degenerative, demyelinating, inflammatory, traumatic, and vascular conditions. • Describe evolving MRI applications and techniques used to evaluate the brain and spine. No special educational preparation is required for this CME activity. 36th Annual Magnetic Resonance Imaging 2019: National Symposium is organized by Educational Symposia (ESI) and will be held from Apr 23 - 27, 2019 at Wynn Las Vegas, Las Vegas, Nevada, United States of America. If you can not attend the Live Meeting please join us for the Live Webcast: https://www.edusymp.com/product/details/1153 The target audience for this medical event is diagnostic imaging physicians who supervise and interpret MRI/MRA studies. It should also be useful for referring physicians who order these studies so that they might gain a greater appreciation of the strengths and limitations of clinically relevant MRI exams. Technologists performing these types of imaging exams should also gain benefit from this symposium. This CME Conference has been approved for a maximum of 27.0 AMA PRA Category 1 Credit(s)TM. Technologists: This activity is approved by the ASRT for 27.25 hours in Category A CE credit, provided it is completed as designed. Register Now & Save ** There will be a $100 surcharge for anyone registering after April 12, 2019 ** Course Description : This symposium offers a practical teaching course for those who order, perform or interpret magnetic resonance imaging studies. The program is organized in such a way to allow registrants to attend all or just a portion of the meeting. Three focused segments provide a comprehensive yet practical review and update on the clinical applications of MRI. The meeting begins by focusing on the head and spine, moves into the musculoskeletal system and concludes with cardiovascular and body applications. New this year is a focused session on Artificial Intelligence and Cultural Change in Diagnostic Imaging. This special session is designed to help you improve your practice and the overall patient experience. Educational Objectives: Attendees should, at the completion of this course, be able to: • Discuss the expanding role of MR in medical imaging. • Implement state-of-the-art MR protocols. • Describe the principles and general applications of perfusion and diffusion imaging techniques. • Utilize MRI to evaluate neurological, musculoskeletal, body and breast pathology. • Optimize MR protocols and techniques. No special educational preparation is required for this CME activity. 36th Annual Musculoskeletal MRI 2019: National Symposium is organized by Educational Symposia (ESI) and will be held from Apr 24 - 26, 2019 at Wynn Las Vegas, Las Vegas, Nevada, United States of America. If you can not attend the Live Meeting please join us for the Live Webcast: https://www.edusymp.com/product/details/1157 Meeting Accreditation: Physicians: Educational Symposia is accredited by the Accreditation Council for Continuing Medical Education (ACCME) to provide continuing medical education for physicians. Educational Symposia designates this live activity for a maximum of 12.5 AMA PRA Category 1 Credit(s)TM Physicians should claim only the credit commensurate with the extent of their participation in the activity. Technologists: This program has been submitted to the ASRT. The number of A CE credits will be available approximately 30 days prior to the meeting. Please visit www.edusymp.com or call 1-800-338-5901 regarding the availability of Category A CE credit. Self-Assessment Modules (SAMs): Educational Symposia has been granted Deemed Status by the American Board of Radiology (ABR). This allows Educational Symposia to develop and implement SAMs that satisfy ABR Part II MOC requirements. About The Meeting: This symposium provides a practical, comprehensive review of the important aspects of clinical musculoskeletal and orthopedic MRI. Physicians and technologists practicing musculoskeletal MRI should gain knowledge on the expanding role of MRI in addition to safe and efficient scanning protocols. New this year is a focused session on Artificial Intelligence and Cultural Change in Diagnostic Imaging. This special session is designed to help you improve your practice and the overall patient experience. Target Audience: This CME activity is designed to educate physicians who supervise and interpret Orthopedic MRI studies. This CME activity should also be useful for referring physicians who order these studies so that they might gain a greater appreciation of the strengths and limitations of clinically relevant Orthopedic MRI studies. Orthopedic MRI technologists should also find this course beneficial. 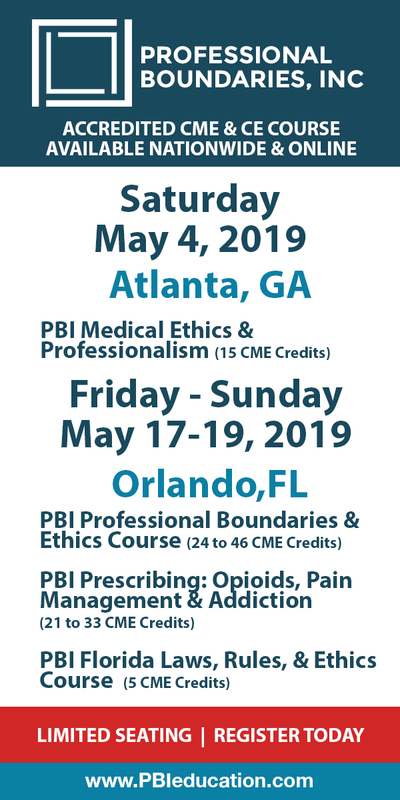 ** There will be a $100 surcharge for anyone registering after April 11, 2019 ** Educational Objectives: Attendees should, at the completion of this course, be able to: • Utilize MRI to evaluate patients with musculoskeletal and orthopedic pathology. • Incorporate state of the art imaging protocols to evaluate the musculoskeletal system into clinical practice. • Identify image features of common musculoskeletal sports related injuries. No special educational preparation is required for this CME activity.